There were several changes we noticed in my daughter in particular, upon going GFCF, but it might help to explain what she was like before we started the diet. Some of these are also common characteristics of kids with autism. 1. Prior to GFCF, she had no energy (at all!). She would constantly complain that she was tired (not sleepy tired, but physically tired). She would sit or lay on the couch most days and watch TV for hours. She couldn’t walk for more than 25 feet (if that) without getting tired and asking to sit in the stroller or grocery cart. (She was 4 years old at the time.) The park is about 6 houses down from us and she could never walk there without having to sit in the stroller. When she got there, she mostly wanted to swing, which she often did at home too. She loved going outside for walks but always sat in the stroller with her younger brother. When she was younger, everyone said “What a blessing she is!” This was because she had an older brother who couldn’t keep still. He had enough energy to run a small city. (He was ADHD). So everyone contended that God was being nice to me after what I went through with Cody as a toddler. She was a perfect angel who always stayed in her stroller, never ran away from me, content to be still, always by my side. It wasn’t until she got older that I started to question why she couldn’t walk very far without getting tired. She very rarely walked up the stairs at night to go to bed. She would always cry for me to carry her, saying her legs were tired. 2. She liked to watch the same videos over and over, especially ones that were geared more for younger kids like Blues Clues, Dora, and Barney. She would watch the same one every night before bed. I didn’t think anything of it until Jenny McCarthy mentioned in her book that her son Evan did the same thing (he liked Bob the Builder), and how other kids his age were way past that and into Sponge Bob, etc. She very rarely engaged in creative/imaginative play, or even played with her toys at all. She mostly watched TV. We stumbled upon the Noggin channel one day and she loved it. This channel is geared more for toddlers. She also loved the Baby Channel that we got for free one weekend. It was like Baby Einstein all day. 3. She had a LOT of digestive problems. She had constant loose stools and/or diarrhea. She would have bowel movements sometimes 5 times a day, but at least twice a day. She was potty trained at about 3 1/2 for about 6 months with few accidents, but then suddenly started having accidents almost every day. She complained that her tummy hurt often. Fruits and veggies (which she loved) went straight through her. She was not digesting any of her food. She was very skinny (still is). Complained of tummy aches often. 4. She didn’t like to eat meat. She would say it was too hard for her to chew (her mouth would get tired) so she almost never ate hamburgers or steak. She finally started eating chicken when she was about 3. She loved soup but would drink it through a straw. 5. She was diagnosed with hypotonia (low muscle tone) which accounted for some of her problems with chewing food. She had speech delays and had been in the Early Childhood program since she was 3. Her speech therapist said she was having problems with speech partly because of her low muscle tone in her tongue and facial muscles. Her EC teacher suggested she may have mild Cerebral Palsy. She said another child in her class had symptoms very close to Lynsey and was just diagnosed with CP. I looked into all kinds of muscle diseases like muscular dystrophy, etc. She has “knock knees” and her toes point in, which made it difficult for her to run b/c she would fall after knocking her knees. They suggested I take her to an orthopedic doctor which I did. They found nothing. 6. She was sick often with colds ever since she was a baby. She first got sick when she was two weeks old with a cold. She also developed watery, red, goopy eyes at this time. It was gross. I applied breastmilk and chamomile tea on her eyes, which helped some, but they wouldn’t stop getting all goopy. She seemed to get sick in 2 week cycles. She would be sick for 2 weeks, get better for 2-3 weeks, then be sick again for 2 weeks. Finally, at 8 months, I took her to a wholistic doctor who said she thought she was allergic to the milk in her formula. She only had formula two days a week when she was at the babysitters. We couldn’t figure out for the world why she would break out with a red rash and getting goopy eyes after being at the babysitter’s. We had her laying on blankets from home thinking she was allergic to their blankets. The doctor also suggested she might be allergic to the detergent I was using so we switched to 1/4 of a normal amount of Tide Free and a little Borax, to take out any residue. I switched to strictly breastfeeding and immediately, her goopy, red eyes were gone and she was getting sick less often. We’ve discovered she gets the runny eyes and colds from dairy and the rash from too much detergent (still to this day). 7. She had a lot of fine motor skill delays, especially with hand writing. They worked with her on this daily, trying to strengthen her hands and fingers. Her goal for the year when she was 4 was to be able to write out her name. Even six letters was hard for her! Her hand would get tired and she would want to stop writing. By the end of the year (9 months! ), she was finally able to write out her name independently. She liked to color, but always asked me to finish it b/c her hand was tired. 8. When asked to draw pictures in her weekend journal for school, she would just scribble. She almost never drew pictures and if she did, it was often unrecognizable objects. 9. Speech was delayed. Sometimes it was hard to understand her. Never carried on a long conversation with anyone. 10. Eyes were crossing. One eye would turn in. We took her to an eye doctor and she had very bad eyesight. She got glasses, but every time she didn’t wear them, her eyes would cross. If she didn’t have her glasses on, she would ask for them b/c she couldn’t see without them. The changes we noticed from going GFCF were almost immediate (like 2-3 days). 1. She suddenly had a LOT more energy. She wanted to go outside and go for a walk (and not in the stroller!). We walked to the park and she walked the whole way! Never asked to sit in the stroller. The next day, she wanted to walk and ride her bike to school. The school is at least 5 times as far as the park from our house. Well, first we had to dust off the bike because she hardly ever rode it. If she did, she made it about 2 houses down. She rode her bike part of the way, then walked and skipped the rest of the way. I was in shock. Along the way, she talked up a storm. She’s normally very quiet. She was noticing everything. She asked me what the reflector was on her bike. Then she noticed something else on her bike. It was as if it was the first time she had ever seen her bike. We’d had for it for over a year. Then she noticed something else about the pond. She talked the whole way and was smiling and laughing. When she got to school, she could hardly wait to show her teachers her bike. They asked if it was new. I said, “No.” She had just never shown much interest in riding it before. After school, I took the kids to the grocery store. Normally, my daughter would sit in the cart at least part of the trip. She wanted to walk. We were making our way through the store, and she starts walking and running off down aisles away from me. Then she puts up her arms like she’s Super Woman, laughing and running through the store. I looked at my older son, and we both started laughing. It occurred to me that I had never had to teach her to stay by me b/c she NEVER ran away from me – she never had the energy to. We chased her around the store and I explained that she needed to stay with us. 2. One day, I put on Noggin as usual for her, and she complained, “I don’t want to watch this. It’s boring. It’s for babies.” I couldn’t believe it. She said she wanted to watch Nick Jr. and Spongebob, of all things. We block Nickelodeon for various reasons, but occassionally let them watch certain shows. It was strange how a change in diet could make this kind of shift in her thinking. I think it’s b/c before she was just always in this daze. It’s called the opiate effect from undigested gluten and dairy getting into their bloodstream. It makes kids feel like they are high on opiates, much like the drug opium, and they will appear to be stoned. She also started playing with her toys a lot more, especially by herself, creating dialogue with her dolls – something she very rarely did before. 3. By far the biggest improvement and reason we will stay on GFCF, is her bathroom habits improved greatly. She went to having one normal BM a day, which accounted for fewer accidents as well. She has much fewer complaints of tummy aches. She may have Celiac Disease. I also have symptoms of Celiac and will probably get tested soon. The only way to test it is to eat gluten for 4 days before the test. I would not want to do that to her. We’ve tested letting her have a couple pieces of pizza once for a party and she got very sick (bad eye infections, cold, and ear infection from it). If I have Celiac, it is likely at least one of my kids would have it, which would mean they must stay away from gluten for serious health reasons. It is also a test that is not full proof. Many people get a false negative. 4. Suddenly started eating meat like hamburgers and steak with no fuss whatsoever. Going GFCF often makes kids much less picky eaters. She will eat almost anything I give her. She still loves fruits and veggies but still has some problems digesting them. We’re working on that, but she will eat broccolli, cauliflower, carrots, brussel sprouts, asparagus, celery, cucumbers, tomatoes, salad, and any kind of fruit. 5. Still has low muscle tone but I believe that will improve over time. As she has more energy, she’s getting more excercise and using her muscles more. Low muscle tone is also a sign of certain vitamin deficiencies and mitochondrial issues (cell energy stuff). There are vitamins like Carnitine that improve low muscle tone issues, as well as vitamins that increase cell energy like CO-Q-10. Vitamin D is another vitamin that is often deficient with kids with knock knees. I will post about that under supplements. 6. The week we started GFCF, the kids were sick, but then they went about 6 months without really getting sick. That was a record. They were always sick. They still do not get sick too often and when they do, it isn’t that bad and they recover much quicker. Now, they just tend to get a bad cough which I think is being caused by some kind of allergy. It’s almost like an asthma cough mostly at night and then during the day, they seem OK and don’t even seem like they have a cold. Two of my kids have thrown up because they have been coughing so hard. Still trying to figure out what is causing that. 7. My daughter still has some fine motor delay, but she is MUCH better than last year. She can write all of the letters of the alphabet and numbers. Sometimes her handwriting looks better than her 8 year old brothers’! (He gets defensive about that. :)) Her letters used to be very shaky looking, and now it looks like her hand is very steady, and she can keep up with the other kids in her class on written work. She does tend to take a little longer but she has improved greatly. She started pulling out old workbooks that I had bought that she never wanted to write in, and start writing letters and coloring pictures. Occasionally, she does get tired of coloring, but not like before. 8. About a week or two after starting the diet, she colored a recognizable picture in her weekend journal! She drew a picture of sunflowers and a sun and she even used the right colors to represent everything. I was shocked. If I can find it, I will post it. If you look through her journal, nearly every other picture is just a bunch of scribbles. 9. Speech improved and clarity of thought improved and she seemed to be much more aware of her surroundings. This area wasn’t drastic but noticeable. Some people notice huge improvements in speech, but I think that is more often the case in kids who were non-verbal prior to the diet. 10. A couple weeks into the diet, I noticed she was going longer without having her glasses on, and not freaking out that we give her her glasses. Her eyes also stopped crossing when her glasses were off! Weak eyes and crossing are often a sign of Vitamin A deficiency. The only thing I can account this to, is that removing gluten and dairy was allowing her gut to heal and she was better able to digest her foods, and therefore absorbing more of the nutrients from her food. A lot of the GFCF meals I make for her also happen to have carrots which are high in vitamin A, and carrots are one of her favorite foods. Occasionally in the last year, I have allowed her to eat something with gluten and dairy in it, like pizza, and every time, the following day, she is complaining that she is tired and wants to lay on the couch all day and watch TV. I also noticed that she asked to sit in the stroller when we went out for a walk. The one time as I mentioned, she got very sick. For my son, if he has gluten or dairy, he also tends to get cold like symptoms (runny, stuffy nose from dairy or the start of an ear infection, cleared up with Wally’s Ear Oil). From gluten, he will wake up at night, and toss and turn all night like his stomach hurts. He will also start to have seizure activity. I believe if I continued to feed him gluten and dairy, his body would get overloaded and he would get high fevers and seizures again. For him, I think it is more of a build-up effect than instant seizure if he has gluten. There are some kids who seizure instantly upon having any trace of gluten. 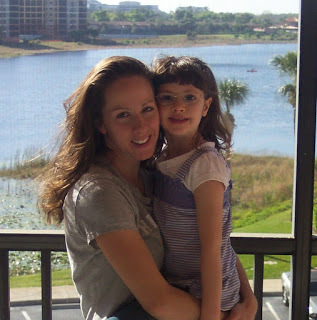 Many people ask me what improvements my kids have from going GFCF, or how I knew they were allergic, like “what would happen to them?” As you can see, the answer to that is kind of long, which is part of the reason I started this blog. Allergies are a complex thing and even my small attempt to explain its effects on my kids are just a small part of the explanation of why allergies exist and what causes them. Dr. Kenneth Bock does a good job of explaining it in his book. Mostly, allergies are closely linked to the person’s immune system, and the immune system is disfunctioning. The biggest thing is to find the root cause of the disfunction. That can be toxic overload from vaccines, vitamin deficiencies, toxins in the environment (there are tons! ), artificial ingredients and chemicals in food, pesticides, heavy metals, latent viruses and bacteria overgrowth, yeast overgrowth (many times caused by antibiotic use), and more. For now, my kids will avoid the things that are causing them allergic reactions, but eventually I hope to find the reason my kids have allergies, and go after that so that they will be able to eat all kinds of foods. My initial guess (since they have not been vaccinated) is that they have yeast overgrowth (my daughter I know for sure does), pesticide exposure (she always ate tons of fruits and veggies, but we did not buy organic). We also are surrounded by corn farms and other farms. It’s common knowledge that they are using heavy pesticides on them, and I’m sure this is getting into the water supply through run off, and it is being released into the air. We also now buy organic meat and chickens from Trader Joe’s. They inject arsenic into many meats to keep it red longer so it appears fresher longer even when it’s not (yuck!). It also widely known that they are giving antibiotics and hormones to these animals that we eat, which can wreak havoc on our health over time. They have also been tested and have some vitamin deficiencies which can lead to allergies. The body needs time to heal and readjust, and I think with biomed, their allergies will be minimized greatly. So, when people ask me what changes I saw, mostly I say she has a lot more energy, gets sick much less often, and her bathroom habits have improved. For my son, the changes we have seen in him were improved stools (used to be loose), got sick much less often, no more high fevers, no more seizures, no more seizure activity. For myself – I had to do the diet for about 6 weeks 100% when I realized that I was passing gluten and dairy on to him via breastmilk. It was very hard to do, but I did see a lot of improvements myself. I think I may have Celiac Disease based on the symptoms I have when I eat gluten. Going on the diet, I first felt worse, as is common. You go through withdrawal at first. Some people don’t even notice the withdrawal but I did. I had mild stomach cramps, diarrhea, and huge cravings for gluten and dairy. As I understand it, the stomach pains, which sometimes felt like hunger pains, are your bodies way of trying to get gluten and dairy as it goes through withdrawal. After that, I no longer had that intense hunger in between meals, even though GFCF doesn’t leave you feeling as full as gluten and dairy filled foods. I no longer had constipation. My stomach became much flatter. I’ve noticed when I eat gluten, my stomach will bloat and I swear my waist increases by about 5 inches. I feel extremely bloated and sometimes have intense pains. Once I ate pizza and I was doubled over in pain an hour later. Now I can eat some gluten and dairy, and if I take enzymes with it like Houston Enzymes Trienza, I’m OK. These enzymes help break down the proteins in gluten and dairy and reduce bloating, and a few people have been able to take enzymes instead of doing GFCF but I’ve not been able to do that with my kids. Removing gluten and dairy also improved the dark circles under my eyes. I can always tell by my eyes if I’ve been eating gluten and dairy. Dark circles and bags under eyes are probably the most common sign of allergies in a person. Both my kids had circles and bags under their eyes that went almost completely away after starting GFCF. I also get extremely tired when I eat gluten – like I could fall asleep at any moment. I don’t know how many times I have told my husband in the past, “I think I have mono” because I would be so tired all the time. I also have no energy when I eat gluten so I can understand how my daughter felt. Climbing up the stairs is tiring, but when I don’t eat gluten, I can do it without any fatigue. Gluten also makes me feel very full. After 6 weeks of GFCF 100%, I finally decided it was time to stop breastfeeding! It’s not too hard of a diet to do once you get used to it, but eating out becomes almost impossible, and that’s where my problem lies. I lack the time to make myself something. If I had someone to cook GFCF for me all the time, I’d have no problem doing the diet all the time. Right now, I do it about 75% of the time. The rest of the time, I try to remember to take enzymes. I do think it’s about the best diet for losing weight anyone could possibly do, and especially for losing inches off your waistline. For kids, it actually is supposed to help them gain weight, as it allows them to absorb nutrients better once their guts heal. Posted in Biomed, GFCF Diet and tagged GFCF Diet Info. ← Why we started GFCF and biomed.